The KFN29233 is a resourceful, spacious and practical fridge freezer that will offer a new, enhanced and modern appeal for any kitchen. Stylishly smooth, the blackboard door design will give you an engaging creation and communication hub in the heart of your kitchen. The fridge freezer comes with minimum energy usage which will save you money on your energy bills and will give you a peace of mind with the fact knowing you are contributing to a healthier environment. This model has been rated A+++ for its energy rating, currently the highest energy rating around. This fridge freezer comes with complete no frost. 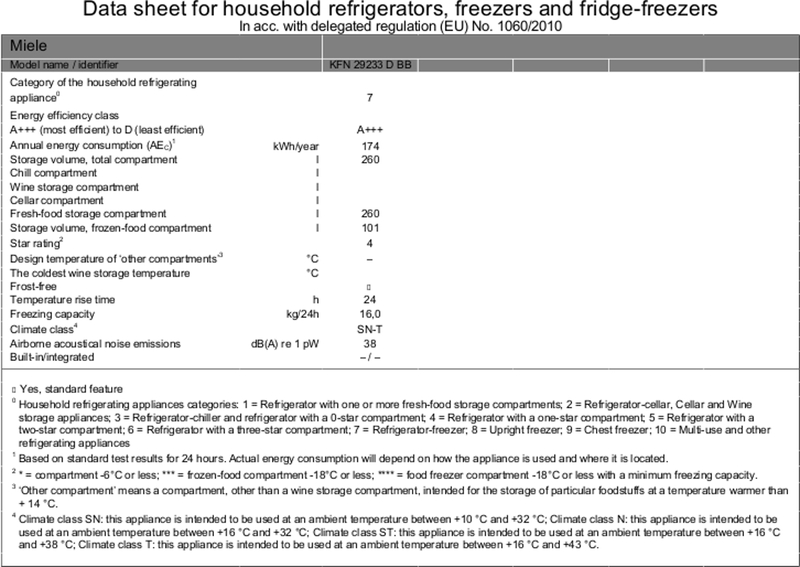 With manual defrosting your fridge freezer can waste multiple hours and a lot of unnecessary hassle. Due to an efficient air circulation and temperature control, this model will prevent any frost from developing, ensuring that manual defrosting is a thing of the past.